Hello! Yesterday I was talking about fall projects and here I am today with a super easy Christmas Card design for you! Wow...time certainly does fly! As you know, my 1-2-3 Cards can be made quickly and easily with 1 Sentiment, 2 Paper Shapes and 3 Embellishments. 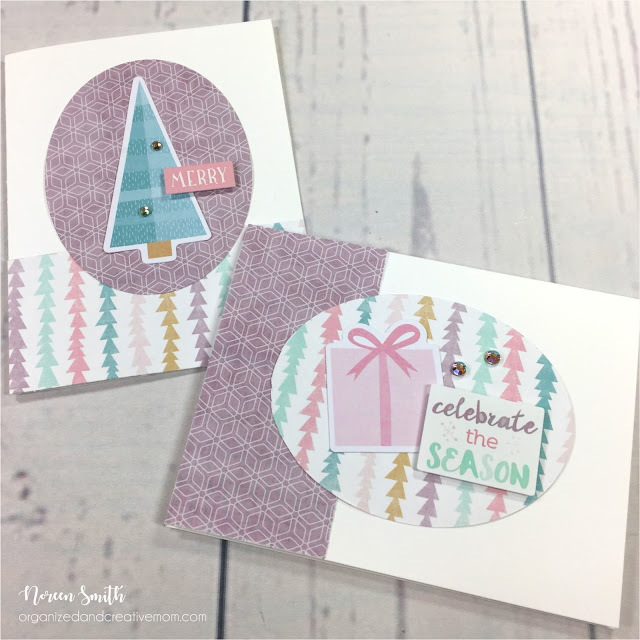 They are easy, fast and fun, and if you have a lot of Christmas cards to make this year, this is a great sketch to use and make those cards in bulk! This month I'm using the papers and die-cut embellishments from Creative Memories Sugarplum Collection. Although it's a bit of a departure from traditional Christmas colors, this sweet collection is full of holiday cheer! How many Christmas cards are you planning to make this year? 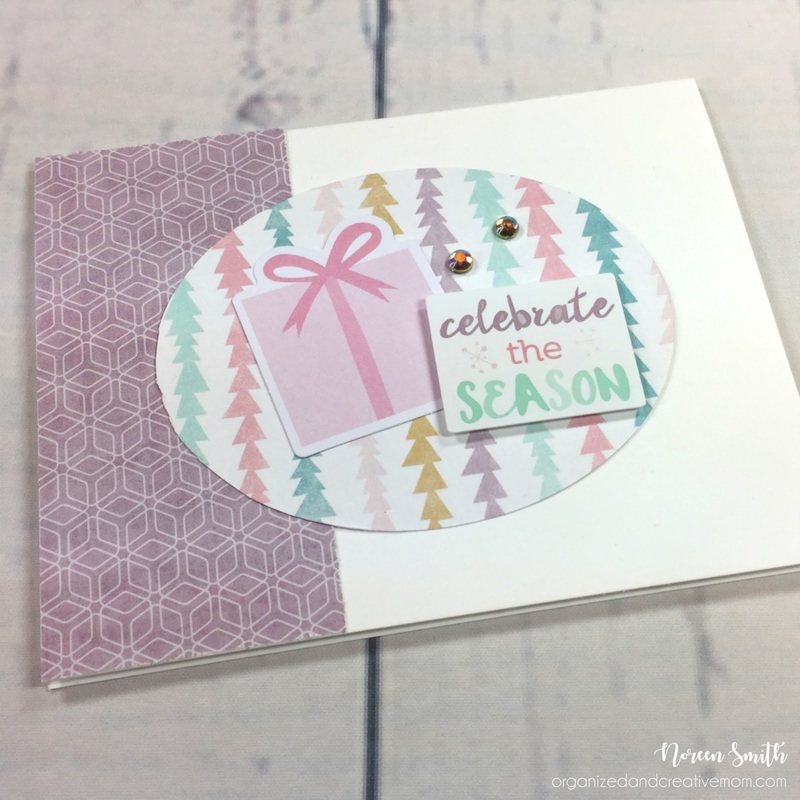 Will you use traditional Christmas colors or break out and use a collection like Sugarplum? I'd LOVE to see what you create, so besides commenting for your chance to win, please consider sharing a photo of your Christmas (or any!) cards on my Facebook group to show us how YOU used the sketch! All Creative Memories products featured in my projects are available in Canada on my CM website, and you can also find advisors in the US and other countries by using the Advisor Lookup feature. Great card ideas as always! I think I might also use this sketch with the bonus pack from the Merry & Bright card kit. I was wondering what to do with it. I do not make many cards, but I love the simplicity of 1-2-3 cards! 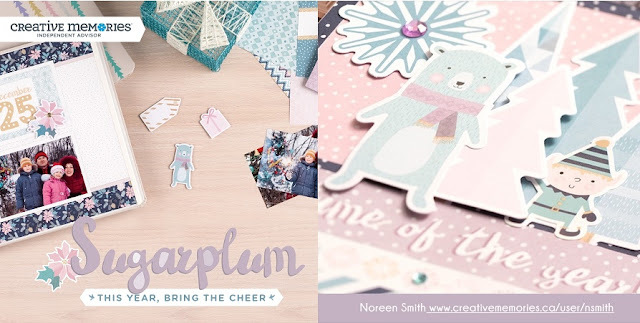 I have been using Sugarplum up a storm since I purchased it for my granddaughter's baby book. Thanks for the great ideas!